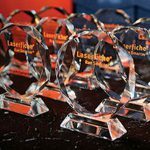 Laserfiche—an elite provider of global enterprise content management solutions—has been named a visionary leader in the MarketsandMarkets Enterprise Content Management Market Global Forecast to 2022 for its strong portfolio of content management, electronic forms and business process automation solutions. The forecast evaluates vendors based on criteria including breadth of offering, features/functionality, scalability, support, roadmap and viability. “ECM solutions are gaining traction because of the increased need for effectively managing the voluminous content that is generated in organizations on a daily basis,” the forecast said, listing digitization, bring your own device (BYOD) culture, the growth of eCommerce and increased use of social media as causes for the exponential increase in the amount of content generated by organizations. The forecast estimates that the global ECM market is USD $31,662.7 million in 2017, and projected to reach $67,140.1 million by 2022. 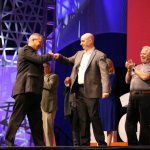 The forecast also calls attention to Laserfiche’s robust Business Process Library with over 100 templated solutions for automating key business processes, including invoice processing, PO requests, HR onboarding and others. Other features that position Laserfiche as a visionary leader include intuitive document management and capture solutions, Department of Defense 5015.2- and VERS-certified records management, and the Laserfiche Digital Transformation Model, a roadmap that enables organizations to identify the progressive changes that are necessary to transform into a digital workplace. Download a copy of the MarketsandMarkets Enterprise Content Management Market Global Forecast to 2022 here.